Please let us know what you would like your custom decal to say...we will contact you with a design proof for your approval prior to shipping your decal. Please note the size of this listing as the picture may not show the size to scale. Most of our decals are around 36 inches wide by 18 inches in height. 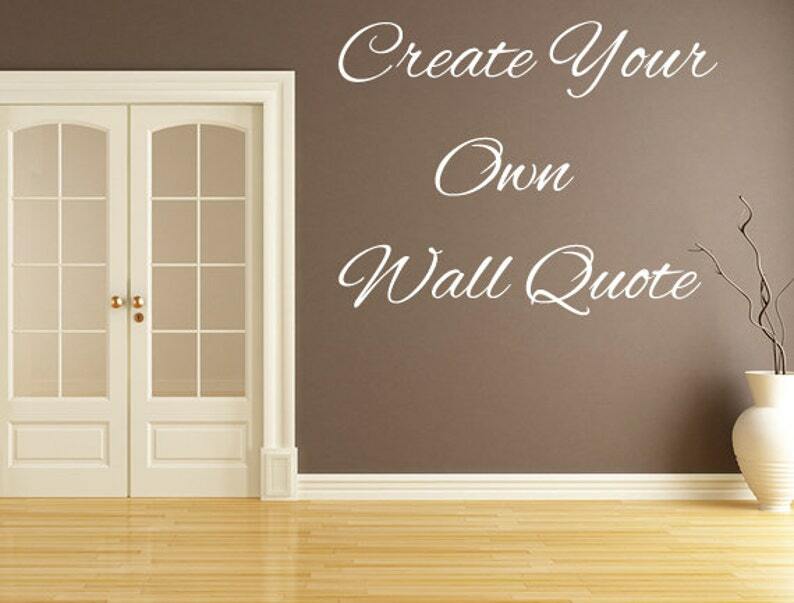 Vinyl Wall Decal, Create Your Own Decal, Any Fonts and Size.